Home Cast iron cookware Why buy Staub cookware? This proud owner explains why. Staub make great cast iron cookware however they also make fine ceramic bakeware and tableware. These ceramics are quintessentially Staub, heavier than other brands and simply stunning. I have to admit I have a soft spot for Staub ceramics as well as their cast-iron. The colours are amazing and the quality for the products is pretty hard to beat. So why Stuab cookware? Great question. I have a soft spot for this relatively unknown cookware brand. Lets just say have a more than a couple of pieces. Sure, Staub is certainly not the cheapest cookware on the market. 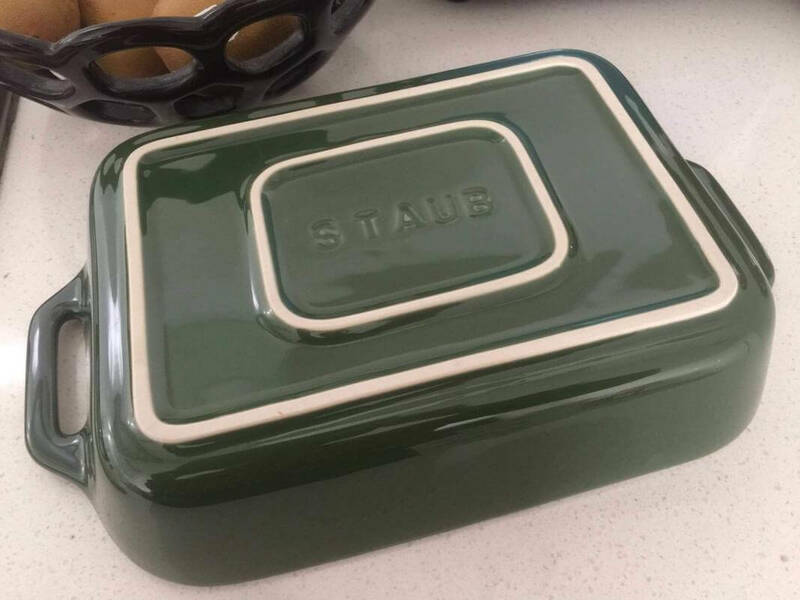 However if you do decide to purchase a piece from Staub, it will last for many years. This also makes their products perfect as gifts. It is clear that high-end brands such as Staub ceramic cookware and Le Creuset are more rewarding and enjoyed by their owners. Why buy Staub cookware? You will just adore their ceramic range. Staub ceramic cookware is not like many other brands of enamel cookware in the market. 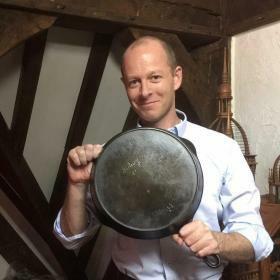 First of all, this French cookware maker proudly makes some of the finest cookware available today. 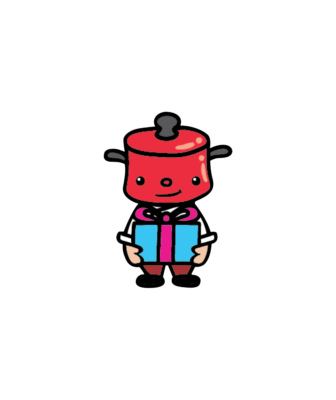 We are not talking about cheap deposable cookware. Staub remains true to the values of the founders. To innovate and create the highest quality products available. The founders wanted to be the best. Well it certainly is a contender. In other words: “Staub focuses on making the best products”. Unlike other brands that have a premium and budget lines. Staub only has one…top of the range. The heaviness comes from the amount of clay used. It is dense and weighty. This increases the thermal mass of the product. Dishes hold heat for longer, perfect for serving food on the table. The sturdyness is where the heavness comes from. Staub ceramics are thick which adds to the thermal mass keeping dishes hotter or cooler for longer. The thickness also makes Staub ceramics highly resistant to chipping. 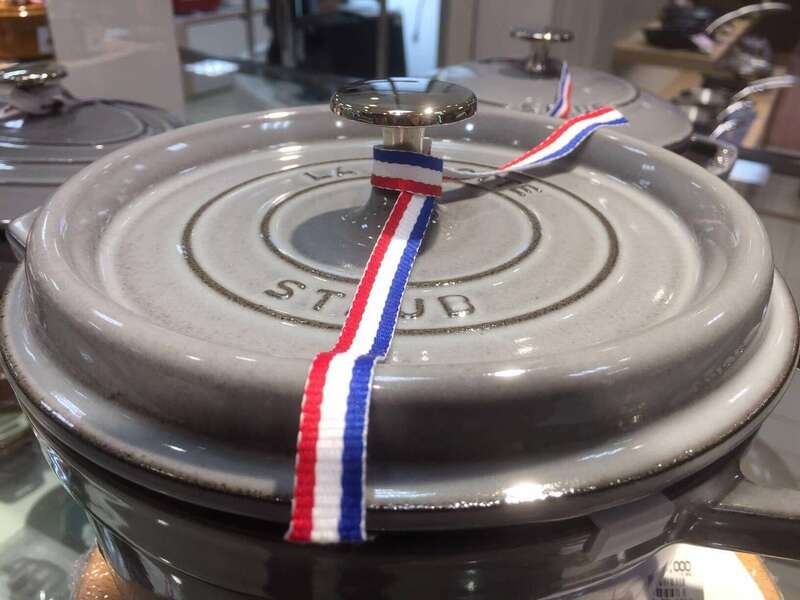 Staub ceramics comes in a wide range of colours and will look beautiful on any dining table. I have a few ceramics pieces. I love the glossy blue bakeware and for the bowls its has to be mustard. It has a real country feel to it. Why should you choose Staub cast iron enamel cookware? The benefits of enamel cookware are compelling. Staub are masters of manipulating cast iron and combining the uneasy task of fine enameling. This is what differentiates this brand from most the others in the market. Staub uses heavy cast iron for their French ovens. Which has proven time and time again that it has better thermal mass than any other material. With the multiple enamel layers, it has superior chip and scratch resistance capabilities. The strong enamel also provides a non-stick surface which is invaluable during clean ups. If I was to buy one Dutch oven I’d go for the 5.5 quart but I’ve never seen the 4 quart this cheap. Staub cookware has amazing versatility. Once you start using Staub cookware, it will be hard to go back to using other brands and varieties. You enjoy the capacity to sear and cook at much higher temperatures than you would with regular pans. If you have any meals that need transferring from the hob to the oven, you don’t have to worry and fuss because transferring is a breeze with Staub enamel cookware. Not persuaded yet? Here are some more compelling reasons why Staub is the only brand of enamel cookware that you should rely on. Do you want to know about the trust worthiness of Staub cookware? Staub enamel cookware has been the pinnacle of enamelware in the industry for years now. As such, it has consolidated a reputation as one of the safest and trusted cookware brands for use. The use of non-coated cookware can increase the level of iron in the human body. For some, they like like to increase iron in their diet using natural iron. For others they prefer a totally non-porus coating that separates food from a metal surface. Staub products are highly resistant to chipping and well known for longevity. Staub enamel cookware is safe because the enamel coating prevents acidic food from coming into contact with the metal surface. Which means that you can cook all variety of dishes without worrying about metal leaching into food. The enamel coating used by Staub cookware is certified and considered safe by the FDA’s Center for Food Safety and Applied Nutrition. The enamel finish is baked under high temperatures finished with two coats of enamel over a base layer. Slow cookware retains natural flavours. Health wise, as more people value their health and well-being; trusted brands such as Staub have stepped in to provide innovative and improved cookware that caters to your needs. The enameled cookware produced by Staub actually reduces the need for a lot of salt when cooking. Less salt is needed because food natural flavours and sugars are retained. Which means that your food is much healthier as a result of reduced amounts of sodium. All Staub enamel cookware is PTFE, PFOA, Lead, and Cadmium free. Staub’s century old production of tradition and excellence. 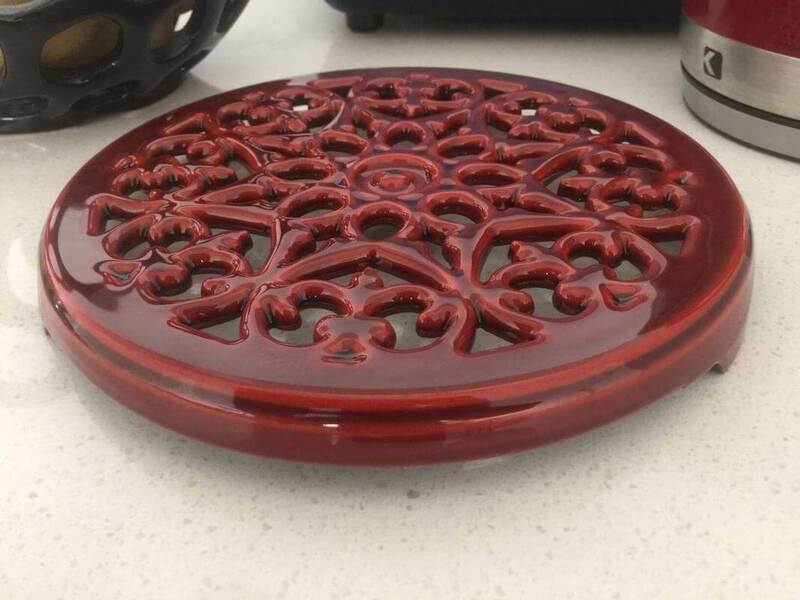 They are able to marry the benefits of cast iron with the beauty of porcelain iron. Stuab have also use their expertise in enamel to glaze some of the finest ceramic bakeware and tableware. The enamel finish is done so masterfully and with the highest quality standards. That ensure that the surface does not scratch or chip. Buying quality enamel cookware is no small investment. Which is why you should only rely on quality enamel that has been tried and tested. Staub cookware is heavier than most other brands for both cast iron and ceramic products. This allows the products sturdy and chip resistant. Therefore buying a Staub will serve you for years to come. These are wonderful pieces, you can pass down any Staub products to generations of family members. The enamel does not chip away easily because of the quality construction. Highly recommended by the best chefs. Staub enamel cookware comes highly recommended by some of the most respected and revered chefs in the industry. Paul Bocuse, a holder of 3 Michelin Stars has continuously has a unique history with Staub cast iron cookware. It is gaining popularity over the world with both ammeter and professional chefs. Professional chefs love Staub enamel cookware owing to its heat retaining properties, unyielding durability, and its flavour enhancing capabilities. Other world famous chefs that have praised Staub for its abilities. These include: Micheal Kafer, Christian Constant, Hiroyuki Kiramatsu, among many others. Lately, as a result of Staub’s innovative designs, small-scale versions of the cookware. Staub cookware has been making rounds from the kitchen and stove to the dining room and serving table. The designs and the vibrant colors fit the décors of most people’s dining areas perfectly. Staub has a high quality control. Both cast iron and ceramics cookware are individually molded. This makes every piece unique. Staub proudly continues tradition casting casting methods. Ceramic dishes are thicker than competitors and have a great shock resistance. 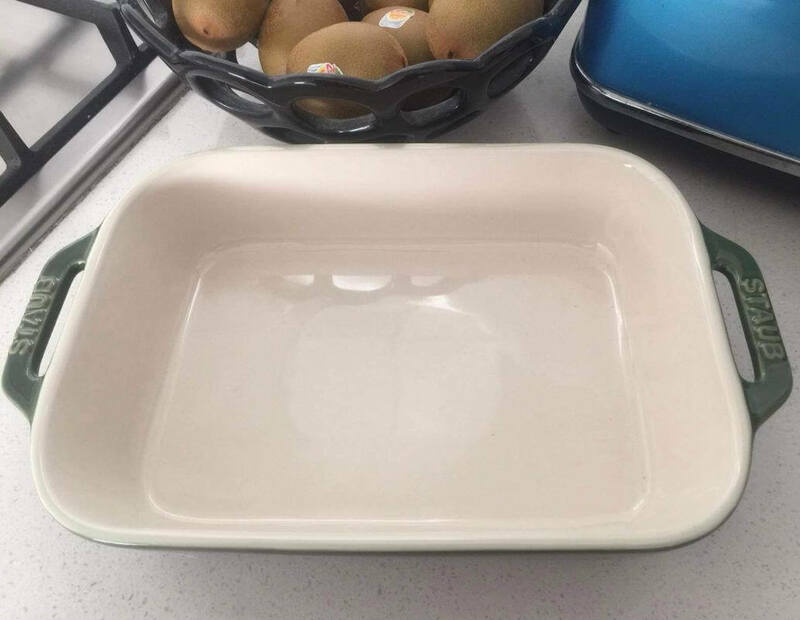 Cast iron enamelware have at least two coats after a base layer to insure full coverage. Both ceramic dishes and cast iron are incredibly chip resistant and dishwasher safe. Staub has one of the best enamel coatings in the market. The end product is durable, sturdier and heat resistant. This is really all a consumer needs from a quality piece of enamel cookware. During production, cast iron is manufactured using a one of a kind mold that is destroyed and recycled. During production, each piece of Staub cast iron cookware is inspected visually and technically over and over again (more than 100 times). This ensures the highest quality standards are met and maintained throughout. When you buy Staub, you pay for this level of attention to detail that is often difficult for other brands in the market to replicate. The Staub ceramic bake ware and tableware is equally impressive. The ceramics certainly have heft to them to are extremely well made. Currenty the Staub ceramics are made in China. This not deter some buyers however the stoneware is a quality you come to expect from Staub. It was with noting we come to expect lower quility products from China. However when it comes to ceramics they have a very proud heritage. Ming vases after all come from China. If you prefer French made ceramic cookware Emile Henry offer some amazing products. A wide array of aesthetically pleasing accessories and products. Thanks to Staub’s innovation in aesthetic coloring and unique enameling techniques. Staub cookware is available for purchase in a range of vibrant colours. The Staub product range can be placed elegantly on any table or dining room to blend seamlessly with the interior décor. The cookware undergoes at least two external coating processes. Two coats of enamel makes sure that the colored enamel layers are bright and vibrant. It also helps with chip resistance so that they will last for generations to come. The importance to fine detailing is paramount for Staub. This includes detailing on lid covers. The standard knobs are brass and nickel plated. The Signature matte black French oven comes with a brass knob. This looks beautiful contrasting with the black for a classicdesign. Coloured French ovens come with a nickel plated knob. The nickel knob doesn’t take finger smudges and seems to be always shinny. I have tried to put finger smudges on the knob and failed. The nickel plated knobs complement the beautiful enamel for a luxurious look. That will be sure to wow guests. Both brass and nickel knobs are beautifully finished. The knobs can withstand extremely high temperatures when they are placed inside the oven. 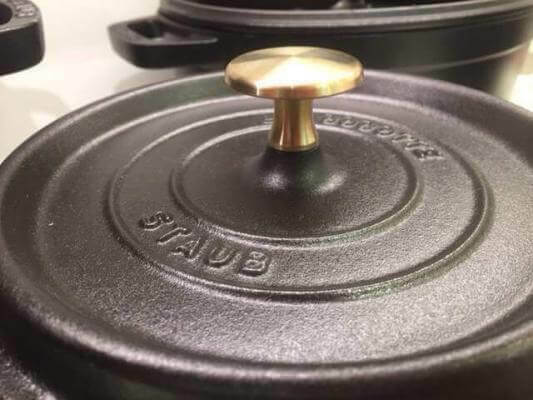 Staub technicians have taken advantage of the natural heat retention and heat redistribution qualities of cast iron. 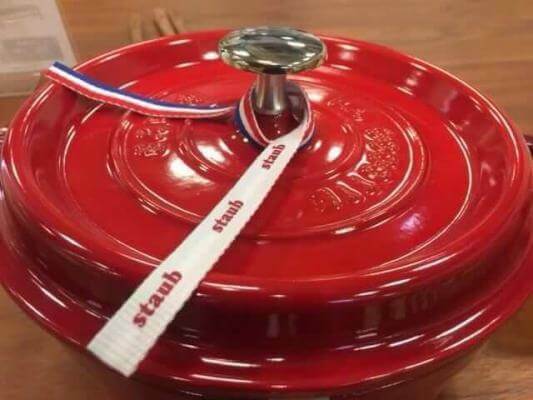 Combined cast iron with unique enameling techniques, Staub products can distribute and retain heat evenly. All Staub pots and pans provide a consistent temperature throughout that makes it perfect for making all varieties of food. This super retention capability is also ideal for keeping food warm when you are serving. The cookware only requires low to medium heat if you need to reheat anything. Staub cookware can be used on any types of induction or stove top. It is also useful for refrigerating food for later. Of course stoneware can be placed in a microwave. However staub ceramic stoneware may crack if used on a hob. Cast-iron products even though they are highly enameled can not be place in the microwave. Staub cookware has ideal properties in the enamel that make it perfect for searing, roasting and caramelizing meat. The enamel is favored by professional chefs and seasoned home cooks because it can slowly cooks food. Slowly cooked food retains foods natural smells and flavours. Staub enamel cookware has some of the best features. For instance, the insides of all Staub cocottes are enameled with a matte black finish. This finish is more resistant to scratching and thermal shocks than any other finish in the market. This makes Staub cookware very easy to maintain. It also ensures that you can use the items for years to come without worrying about physical damage. The matte finish does not rust easily with Staubs multiple layers of thick glaze. Having a thick glaze, Staub products requires no seasoning, which further makes it easy to maintain the cookware. Self-basting spikes found on all the lids are a unique feature. These spikes are supposed to provide better moisture retention when cooking. Which ensures that all the moisture and flavors are trapped inside the cookware. The spikes work effectively by creating a rain forest-like effect. Moisture that effectively drips down onto the food keeping the food moist. Very little lost moisture is lost with Staubs heavy lids.. This innovative mechanism has ensured that the lids are nine times more effective than most other traditional lids. The lids are also flat to ensure that the sophisticated design and the optimized weight of the lid are effective. Why are the Staub products heavy? Staub cookware is constructed from the highest quality materials. They are also not shy using more cast iron than their competitors. Using more cast iron Staub product are less prone to warping and sits flat o modern cooking surfaces. The use of enamel on cast iron brings with it a wealth of advantages. Cast iron is so enjoyable to use however enameled cast -iron requires no seasoning and is dishwasher safe. The cookware is also heavy to also allow a slow simmering process at low temperatures. The heavy cookware allows you to kept food warm for much longer before serving. This eliminates any need of having to re-warm your meals. Staub lids are heavy and tight fitting. With a heavy lid this allows for moisture retention. Additionally, since the cookware is strong and sturdy throughout, the base remains flat. Having a pan or pot that sits flat is very important for modern hobs such as glass and induction. Staub’s price point is the only thing that requires a little more consideration before making a purchase. Staub uses individual molds to make their cast iron products. With an individual mold every pot, pan, skillet, and cast iron accessory is unique in its own rights and merits. 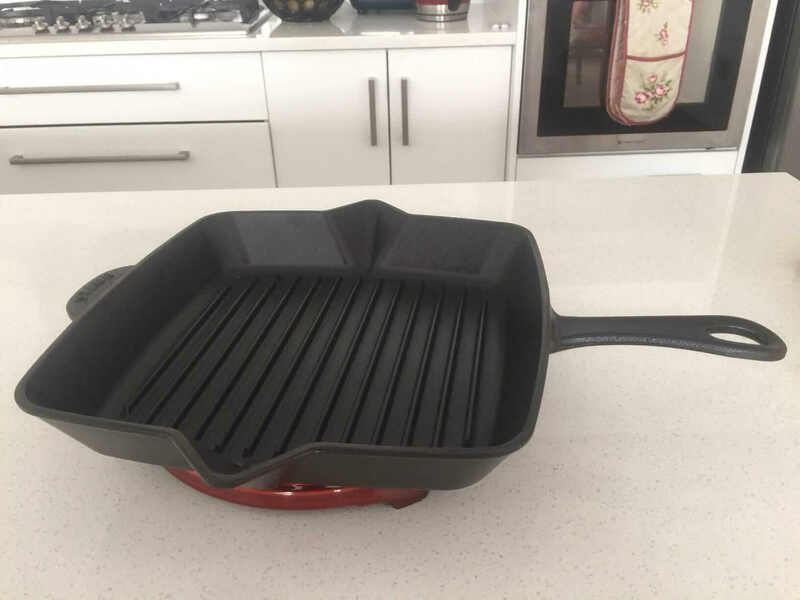 To be fair, you are not just paying for a piece of ordinary cookware Staub cast iron and ceramic cookware uses the greatest care and the superior materials under the highest control standards. The enamel is hard really hard. 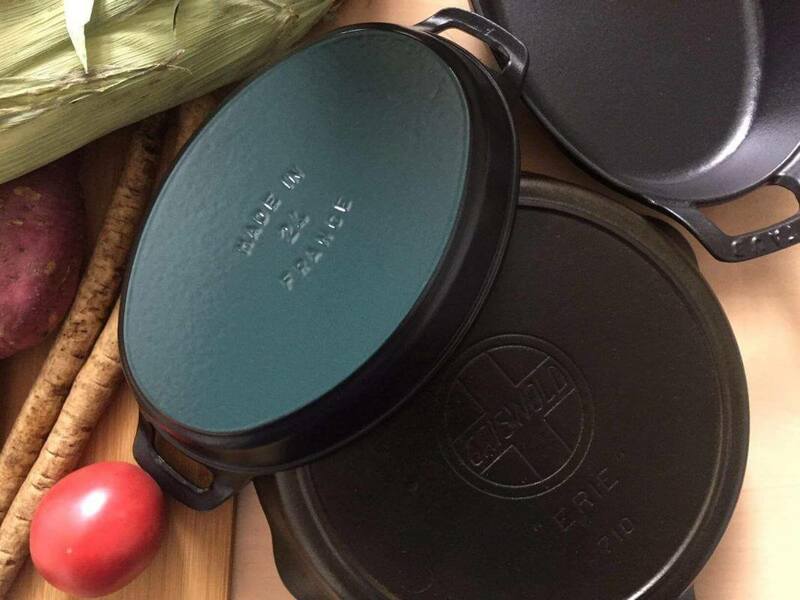 Additionally, when you purchase any Staub product, you are also paying for the unique matte enamel. Staubs dark enamel interior is very unique. It helps hide food stains, resulting in a cleaning looking pan. Staub’s black enamel is practically indestructible and it delivers the best cooking results that any chef can hope for. As you continue to use your cookware, it gradually burns fats and oils from food. This layer coats the black matte enamel interior making it even more non-stick if desired. Eventually, the black turns into a brownish colour. The result desirable brown layer called seasoning that prevents food sticking. However if prefer your pot pristine, it can handle strong cleaning with soap and sponges. Staub products are also dishwasher safe. Your Staub product will look great for many years. They don’t have a lower product range. They concentrate on best possible products. Staub manufactures and produces products that are of the highest quality. They also happen to be visually stunning. Since the quality standards are high, customers rarely complain about the quality standards of the products they purchase. Although Staubs is most famous for their French oven they also manufacture high quality ceramic dishes. Staub also make some of the best enameled skillets. These skillets weighty but great alternative the the bare iron skillet and requires no maintenance. Next articleYou’ll just adore Le Creuset ceramic cookware, heres why.